With a backdrop of rolling hills, rows of vineyards and Seneca Lake, Glenora Wine Cellars makes it easy to create lasting memories, no matter the occasion or season, and when it comes to weddings, there are endless possibilities for couples. The panoramic vistas combined with our dining room, outdoor covered terrace and thirty-room Inn, not to mention our wines and the cuisine of Veraisons, make it truly a one stop shop for planning the big day. 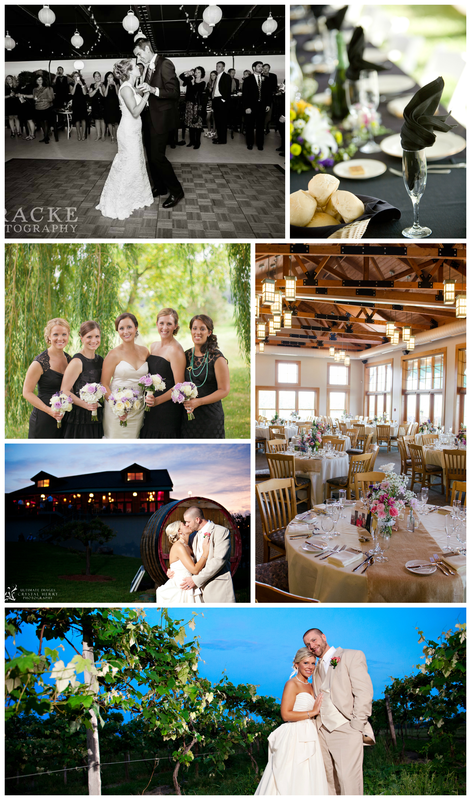 It’s no wonder that winery weddings, especially in the Finger Lakes, are so highly sought after in recent years. After all, who wouldn’t want to marry their true love among vineyards and loved ones with a crystal blue lake in the background? Entering into the 2014 wedding season and beyond, Kathy, our Event Manager, and her assistant, Chrystie, are extremely proud that Glenora Wine Cellars has been recognized as a top wedding reception and ceremony venue by The Knot. The Knot is the internet’s most trafficked wedding planning resource, offering a fresh voice to millions of engaged couples each year through their website, print materials, and broadcast offerings. 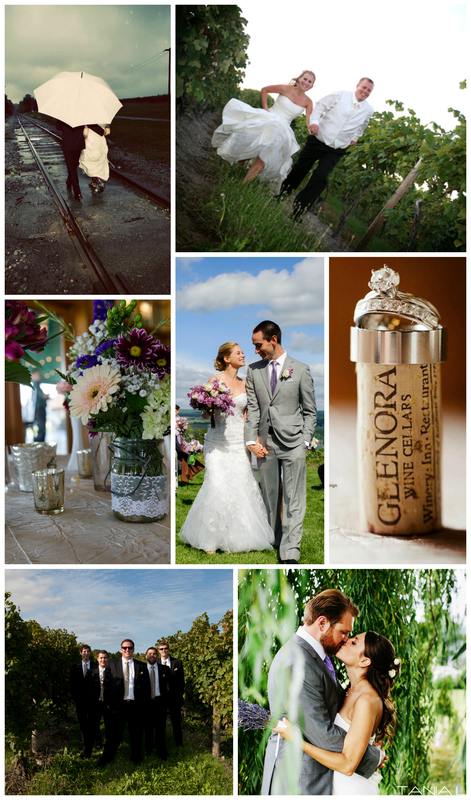 Glenora has been rated by local brides and voted “The Knot Best of Weddings” for 2014. Essential to this success is Kathy and Chrystie’s keen attention to detail and ability to beautifully capture the vision of each couple every step of the way. They have also fostered a great rapport with local vendors, covering the bases of all their couples’ needs. What makes Glenora Wine Cellars as a venue so special? The fact that you have a Ceremony Site, Reception Space and Overnight accommodations all in one spot. The oldest winery on Seneca Lake is a short walk from the Inn where guests are welcome to experience award winning wines from an educated and friendly staff. The Covered Terrace off the Dining Room allows the Bride and Groom the option of Cocktail Hour and also the Dancing to take place (in season). The views of the vineyard and lake along with bistro lighting make the ambiance very romantic. The food is amazing; Chef Orlando uses fresh local produce, meats, and dairy whenever possible. One of my favorite times of the day is to walk and talk to the guests and listen to the compliments on the meal. Glenora has had an amazing team in place for many years. We all take pride in our positions and work together like a family. When someone comes to Glenora they arrive as a guest and leave as a friend. What do you enjoy most about planning weddings and receptions? Making the brides dreams come alive. After working for months on so many of the details and to have the trust from them is a force that is indescribable. It’s like planning your daughter’s wedding every weekend! It is very rewarding. Have you seen trends emerge year to year with decorations, flowers, etc? Absolutely, Mason jars, chalkboards, bistro lighting, barn and rustic settings have been the recent trends for the past few years. Speaking of The Knot and the recent award, what do you find most valuable in the relationship with The Knot? One of the most valuable features is the fact that they reach 8 out of 10 brides and are very current with trends. There isn’t a day that goes by without referring to “The Knot.” They have a very accessible team as well. Now, enjoy these collages from various weddings throughout the years – they truly speak for themselves! For information about the 2014 Bridal Show (1/26), click here. Our wedding was the best day of our lives! Everyone at Glenora shared our excitement equally! Best day ever…it helped with each plan to hear kathys magic word..breathe… congrats on the accomplishment Glenora Wedding Team!!! Thank you for your kind words! It is so nice to hear how special your day was and we’re so happy to have taken part! We’ll be sure to pass your message along to Kathy! Cheers!